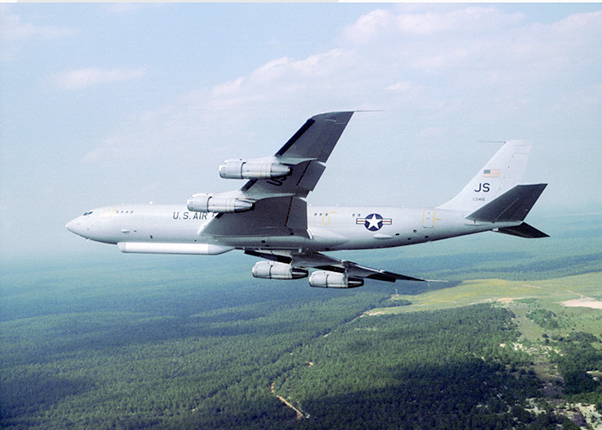 The U.S. Air Force has awarded Northrop Grumman a contract to upgrade existing radio terminals aboard the E-8C Joint Surveillance Target Attack Radar System (Joint STARS) fleet and replace them with Air Force Tactical Receive System-Ruggedized (AFTRS-R) terminals. AFTRS-R assures capability for the Joint STARS fleet and those interacting with the weapon system to receive intelligence reports, including threat warnings in hostile environments, ensuring undiminished battle management in support of war fighters in the air, on the ground and at sea. 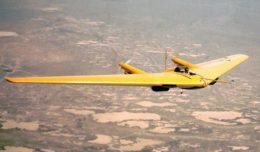 AFTRS-R provides data feeds from airborne and overhead electronics intelligence collectors and allows Joint STARS to detect and track a host of mobile threats, including enemy air defense and theater ballistic missile assets. The AFTRS-R capability will modernize the Integrated Broadcast Service by replacing the current Commander’s Tactical Terminal/Hybrid-Receive Only (CTT/H-R) radio. The modification also addresses cryptographic modernization and diminishing manufacturing source (DMS) issues with the CTT/H-R radio. The AFTRS-R contract is a separate delivery order under the indefinite-delivery/indefinite-quantity Joint STARS Systems Improvement Program (JSSIP) III contract awarded by the U.S. Air Force to Northrop Grumman in October 2013. Other modifications under JSSIP III to maintain 21st-century mission readiness include the Global Imagery Server, which allows for the display of worldwide imagery data on all Joint STARS operator work stations, and the Automatic Identification System that will provide Joint STARS with a permanent, integrated solution for maritime identification of participating vessels. “Our mission is to ensure our combat commanders have the highest degree of situational awareness in the battlespace. Over the past 20 years, our government-industry team has successfully delivered on a variety of advanced, highly affordable capabilities to the fleet. The Global Imagery Server, Automatic Identification System and AFTRS-R are all great examples of how we will continue to ensure our troops remain well-ahead of the threats,” said Col. Raymond Wier, Program Manager, C2ISR, Battle Management, Air Force Life Cycle Management Center, U.S. Air Force. Joint STARS offers battlefield commanders real-time situational information, while simultaneously transmitting target locations to aircraft and ground strike forces. The fleet has been operating at surge levels since 2011 and has flown more than 130,000 combat hours since 9/11 supporting operations globally, including Operation Inherent Resolve over Iraq and Syria. Joint STARS is the only all-weather, long-range, real-time, wide area surveillance and battle management and command and control weapon system in the world.